The hectic first day – an introductory session, two seminars and a drinks reception – of my first LRBS experience is over. I’ve not picked up a book in anger – but we’ve witnessed approaching a hundred examples on the screen, and benefitted from Nicholas Pickwoad’s experience in the of study, identification and documentation of tens of thousands of examples of bookbinding from the handpress era. Much of this is recorded by the Ligatus Research Unit, a fascinating meeting of the expert study of traditional craft techniques in bookbinding and cutting edge data aggregation. Study of the underlying structures and materials of European books has long been overshadowed by scholarship into the decoration or ‘finishing’ of bookbindings. The book trade too has traditionally emphasised appearance over historical importance. But scholars are leading the way in the re-evaluation of the position of the large majority of early, workaday bindings that form the bulk of the historic record in books. Method, material, provenance and indications of the training, background and even identity of the crafts-men and women involved can frequently be revealed by detailed study of what Nicholas called the ‘archeology of the book’. 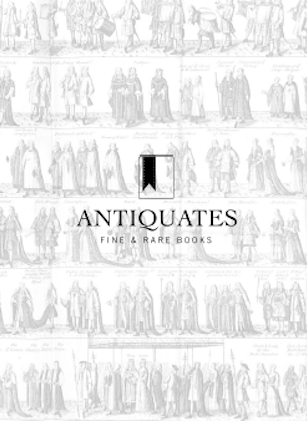 Stuart Bennett, a wonderful bookman and past president of the Antiquarian Bookseller’s Association who I’m honoured to consider a friend, demonstrates that the best booksellers are beginning to follow suit. His Trade Bookbinding in the British Isles, 1660-1800 (New Castle and London, 2004) swiftly became a classic in the field.